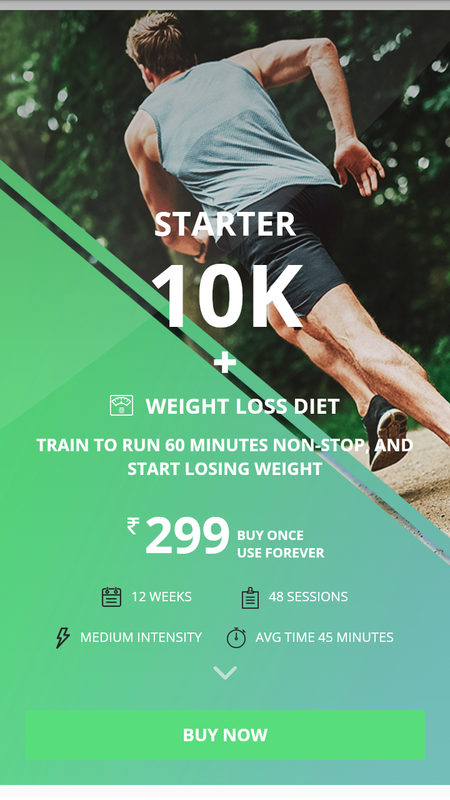 If you are targeting a bigger running goal, even as a beginner, then the Starter 10K program is ideal for you. 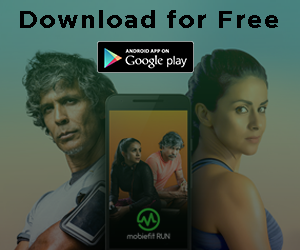 This Mobiefit RUN 10K program for beginners trains you to meet a goal of running 60 minutes without stopping. Even though the training begins with just 2 minutes of running at a stretch in Week 1, you will gradually increase your endurance and stamina to meetyour goal of a 60-minutes unbroken run. The program comes with an integrated weight loss diet plan, which will not only help you up your performance but also help you shed those pesky calories. After all, running is the best cardio exercise for visible weight reduction. This a 12-Week program of medium intensity with 4 Sessions in a week and at the end of every week is there will be a longer run to test your training. The entire program comprises of 48 sessions and can be utilized by people who have a habit of running and want to increase their speed. The training program remains the same as ever but we have added the crucial nutrition and diet plan designed by nutrition expert and celebrity trainer, Shwetha Bhatia. With years of experience and body-building championships under her belt, Shwetha has created a plan that will not only help you shed pounds from Month 1, but also keep you on track and give you enough fuel for your training! The program will train you to stay relaxed and in the zone even when completing a short run. It starts with running at a stretch for just 2 minutes with walking breaks in between, during the first week! Over the 12 week duration, you will run 48 sessions of medium intensity, taking you to the goal of running 60 minutes non-stop. By choosing running for time, rather than a distance landmark, your focus will not be on how far you have run but how much and how well. This is the ideal scenario for new runners, and the learning curve is just gentle enough for absolute beginners. By the time you reach Week 10, you will be more than ready to run longer distances as we build your endurance and strength, and each session will be a long, continuous run, culminating in three 60-minute runs in Week 12. 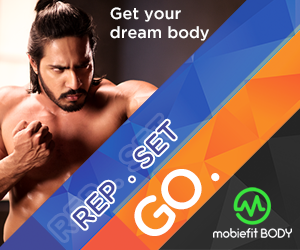 Priced at just Rs 299 and is a steal with the customized diet plan for weight loss. We promise you will lose up to 6 kg in 3 months and start seeing inch-loss and higher energy levels in the first month! What’s more is that we give you guaranteed results and if you do not see visible changes in your weight, you will get your money back! Or if you succeed and share your full progress story, then too we are giving you the money back! Think of the price as a bet that you will succeed! Every session will also require you to do a serious of strengthening exercises that are crucial to becoming a better runner and burning calories.The exercises are simple and can be done in the comfort of your house, as they do not require any equipment. You will start each run with a warm up session, followed by your run and end with a series of stretching exercises. The strength training guide will tell you exactly which workouts to perform and in which order. This is very essential for runners who want to stay injury-free in the long haul and continue running for greater distances or time. We don’t believe in crash diets or making people eat things they don’t want to. Our focus is on simple ingredients that you can acquire in most stores! This plan is sustainable and can be followed forever. It’s a guarantee of great long-term health, if you stick to it and don’t lose focus from your workouts. The Weight Loss diet plan will start you off on an easy-going diet to match your relaxed pace in the first week. With our unique macros (protein, carbs and fats) calculator, you will successfully control the amount of calories you intake through your daily meals. Our hydration meter will help you to stay hydrated throughout your journey. 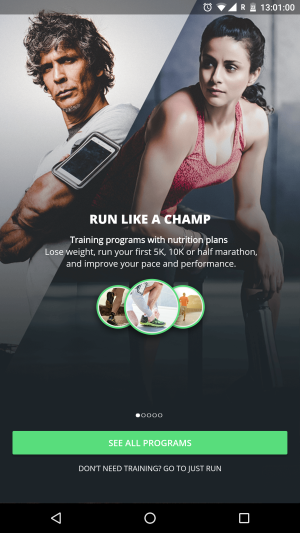 If you were unsure about foods to eat, pre and post-run then this program will tell you what you need to consume every time you head out for your run. And it doesn’t end there, depending on your diet plan you will also be prescribed certain supplements that will further aid your transition from fat to fit. The amount of rest you give your body will also be monitored, so that you don’t lose out on any muscle mass that you’ve gained. The keys to success in any training program is a good amount of exercise, perfect balanced nutrition and sufficient rest for recovery. If even one is missing, the fitness success is not long-lasting. 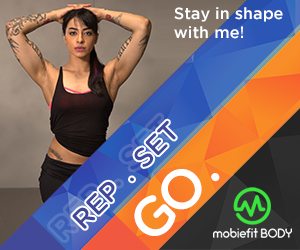 With mobiefit RUN training and the diet and recovery plan set by Shwetha, you are guaranteed to achieve your goal, at a price of Rs 299 for 3 months! That’s a fraction of what you would pay for a personal running coach! 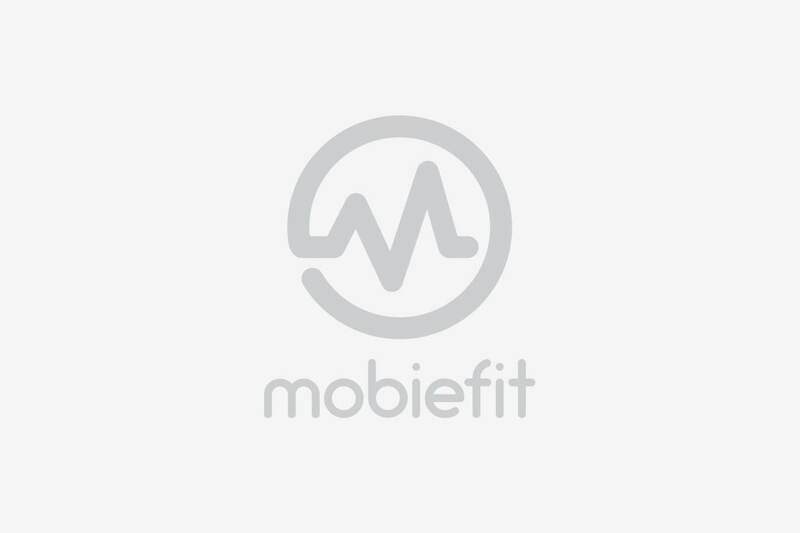 And unlike them, mobiefit RUN is with you when you want, just a tap away.